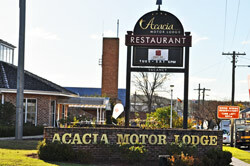 Acacia Motor Lodge - 4 star luxury in Coonabarabran. 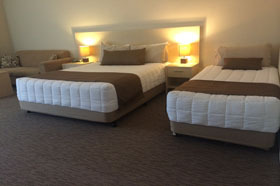 The Acacia Motor Lodge has 23 suites of luxury motel accommodation centrally located along the Newell Highway in the township of Coonabarabran. 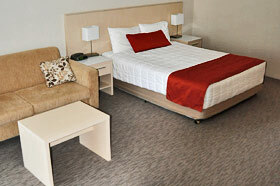 All shops and facilities are within easy walking distance of the Motel. The Copper Pot Cafe & Restaurant operates a delicious a la carte menu from the Acacia Motor Lodge and is open for dinner from 6pm Tuesday through Saturday. Queen bed, balcony overlooking pool, free WiFi, free Foxtel, free continental buffet breakfast. 2 room suite, Queen bed + 3 singles, balcony overlooking pool, free WiFi, free Foxtel, free continental buffet breakfast, 2 x 32" flat screen TV's. 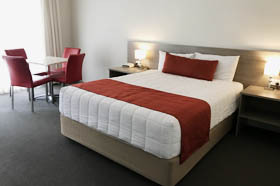 Queen bed + 1 single, balcony overlooking pool, free WiFi, free Foxtel, free continental buffet breakfast, 40" flat screen TV. 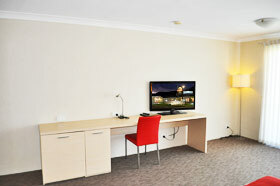 Queen bed, free WiFi, free Foxtel, free continental buffet breakfast, 32" flat screen TV. 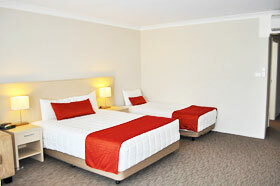 2 room suite, Queen bed + 2 singles, free WiFi, free Foxtel, free continental buffet breakfast, 2 x 32" flat screen TV's. 2 room suite, Queen bed + 3 singles, bath size spa, balcony overlooking pool, free WiFi, free Foxtel, free continental buffet breakfast, 2 x 32" flat screen TV's. 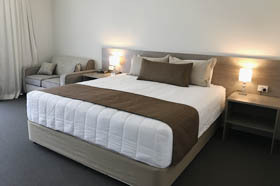 King bed, balcony overlooking pool, free WiFi, free Foxtel, free continental buffet breakfast, 40" flat screen TV. King bed, 2 person corner spa, balcony overlooking pool, free WiFi, free Foxtel, free continental buffet breakfast, 40" flat screen TV.